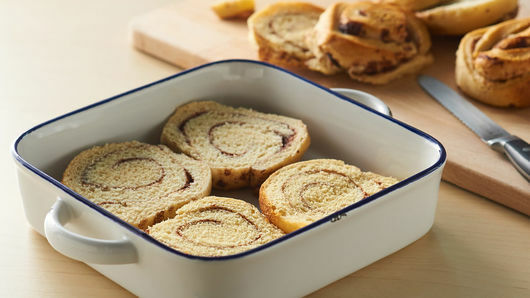 Bake cinnamon rolls as directed on package; cool completely, about 20 minutes. Refrigerate icing for later use. Cut each cinnamon roll in half horizontally. 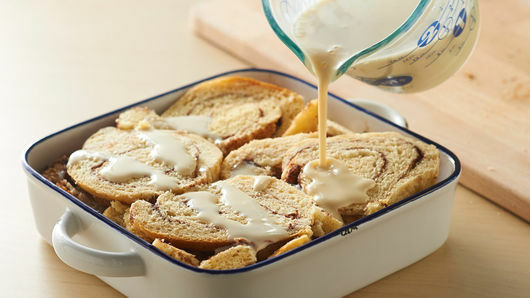 In 8-inch (2-quart) glass baking dish, place 4 of the cinnamon roll halves, cut sides up, in single layer. In medium bowl, mix condensed milk, evaporated milk and whole milk until combined. Pour half of the mixture evenly over cinnamon roll layer. 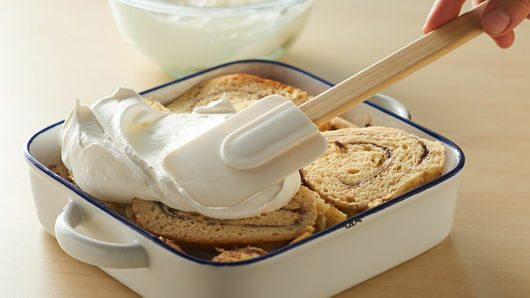 Using end of wooden spoon, poke holes in cinnamon rolls. Place 4 cinnamon roll halves to cover first layer, cut sides up. Cut remaining cinnamon roll halves into smaller pieces to fill empty spots in dish. Pour remaining milk mixture on top, poking more holes in cinnamon rolls. Cover with plastic wrap, pressing down firmly on cinnamon rolls to soak as much milk mixture as possible. 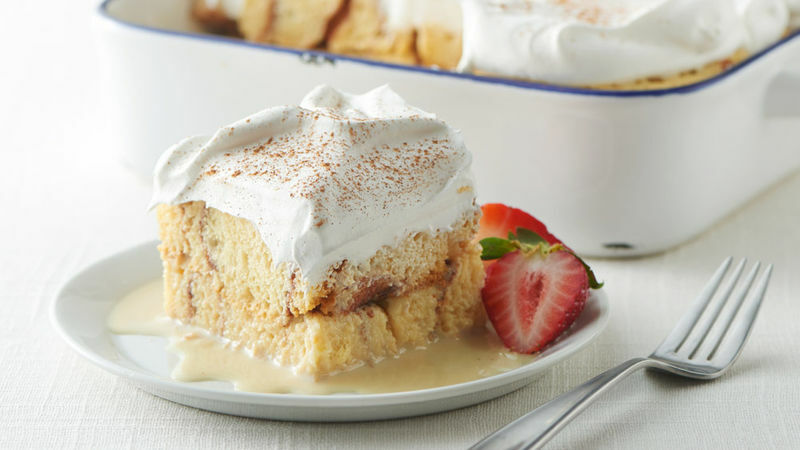 Refrigerate at least 8 hours or overnight, until chilled and most of the liquid has been absorbed into cinnamon rolls (when cutting to serve, some liquid may remain in bottom of dish). In chilled large bowl, beat whipping cream and vanilla with electric mixer on high speed just until soft peaks form. Beat in icing until blended. Spread whipped cream on top of soaked cinnamon roll mixture. Sprinkle with cinnamon. Serve with strawberries. Store covered in refrigerator. Pressing down on top of cinnamon rolls will help them absorb as much milk mixture as possible. Poking holes in cinnamon rolls with end of wooden spoon will help milk mixture absorb better. It’s much easier to do this after milk mixture has been poured on top of cinnamon rolls.